The Los Angeles Rams made headlines when reports surfaced about them reaching out to former Texas Tech head coach Kliff Kingsbury. It appears head coach Sean McVay has since confirmed the reports. 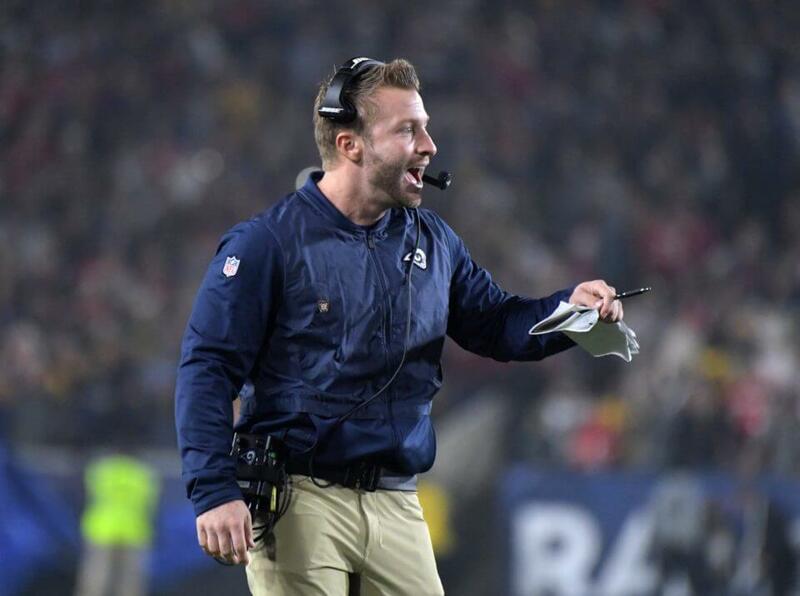 It had been reported that McVay reached out to Kingsbury to bring him in as a potential offensive assistant coach. It is no secret that he is one of the biggest names on the coaching market. Reports have surfaced about him potentially becoming the offensive coordinator at USC, however, it has become evident that there is interest at the professional level as well. Los Angeles already boasts one of the elite coaching staffs in the NFL. Aside from star status of McVay and defensive coordinator Wade Phillips, offensive line coach Aaron Kromer and special teams coach John Fassel have established themselves as household names as well. Regardless, it is clear that the Rams are still looking to improve in any way they can. It is encouraging to see that McVay has a personal relationship with Kingsbury outside of football. This could serve the Rams well if they decide to bring him on down the final stretch of the season, however, it is safe to assume he may be looking to take on a bigger role moving forward.